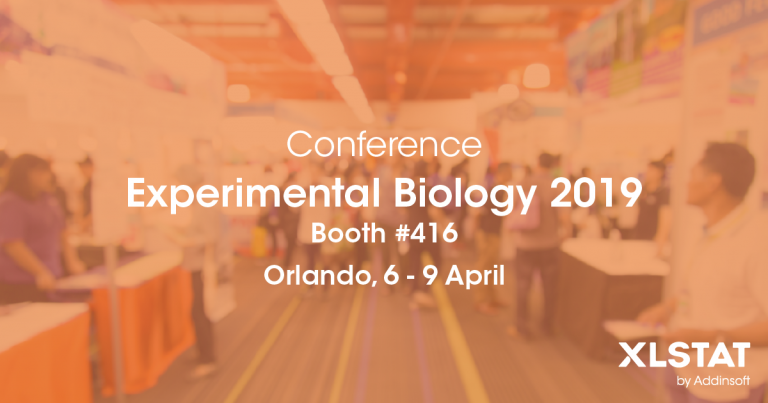 XLSTAT will be present at the 2019 Experimental Biology, April 6-9, in Orlando, Florida. Come and say hi to our team at the exhibition hall (booth 416) and get a one to one demo. A talk will be held on enzyme kinetics modeling using the XLSTAT software on Monday, April 8 - 11:30am. More information on the conference available at https://experimentalbiology.org/2019/home.aspx.